'Be a good steward of your gifts. A haiku from Cape Ann MA. A welcome love message indeed. There was so much rain here this morning, a welcome relief from the unalterable heat of yesterdays. Rain instead of snow? That's a definite improvement! 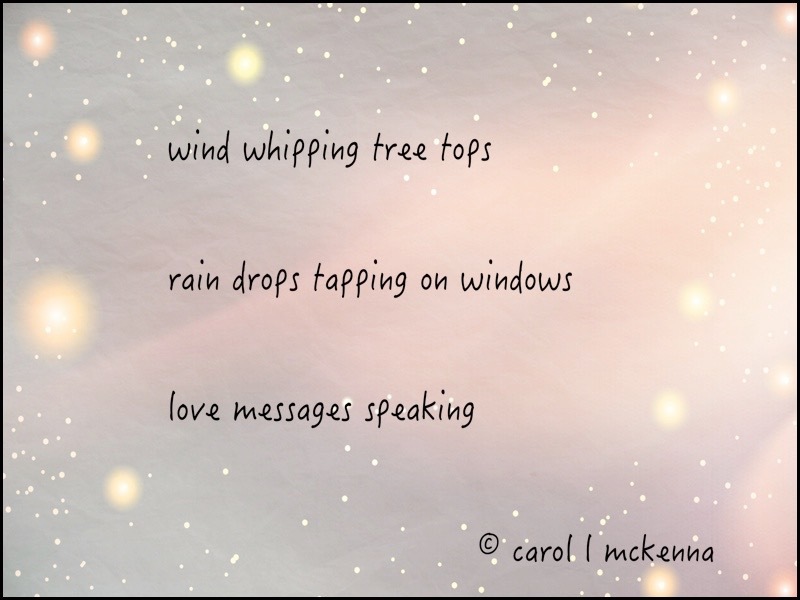 Thanks for this haiku offering, Carol. lovely haiku. And it perfectly describes our weather where I live today. Love speaks in so many ways.